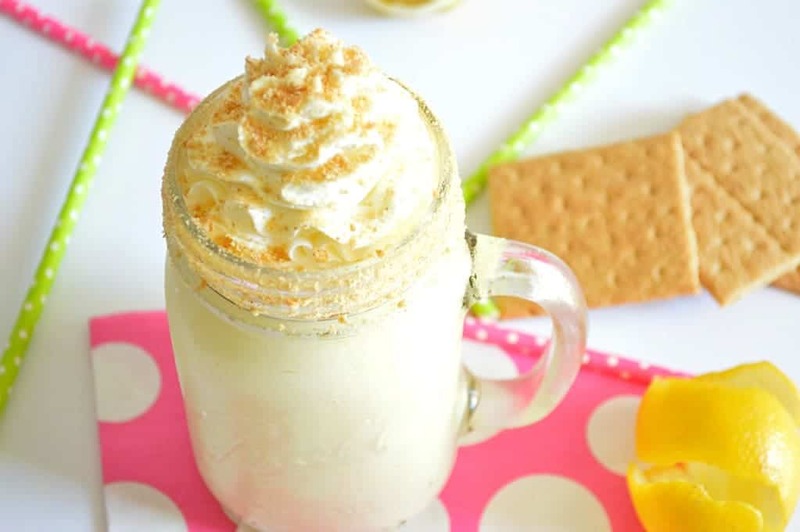 Enjoy the tart, citrus flavor of a lemon pie in this milkshake! I have a new obsession. Sonic Slushies. Probably not what you were expecting to hear about right? Well, stay with me here for a moment. Whenever I go to Sonic to get my slushy, and we won’t discuss how often that is, I sit there and look at their sign that displays all of the milkshakes. I can’t tell you any other milkshake that they have besides the Lemon Pie Milkshake. I want to try it every time I go there. But I’m so addicted to their slushies that I never get a chance to get one. It’s a rough life I know. So anyway, I sit there and dream about the Lemon Pie milkshake. I imagine how delightful it tastes. How tart and refreshing it must be. How creamy and smooth. And then I get my slushy. Which means, that while I’m at home and it’s nap time and it’s just me and I can’t go anywhere because the baby is napping, I have time to play around in the kitchen and make myself a Lemon Pie milkshake. Because I don’t think I can master the Sonic Slushy at home. Even if I tried I don’t think it would be nearly as wonderful if it didn’t come in that styrofoam cup. 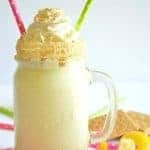 Since I’ve never actually purchased and tried the Lemon Pie milkshake though, that means that this version that I made is amazing! Which in all honesty it really is. Why? Well because it’s only three ingredients. 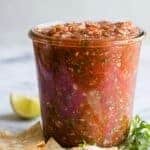 Anything with only three ingredients and that only takes less than 5 minutes of my time is amazing. Well that and the fact that it tastes like I’m enjoying a lemon pie!! In milkshake form. Yum! 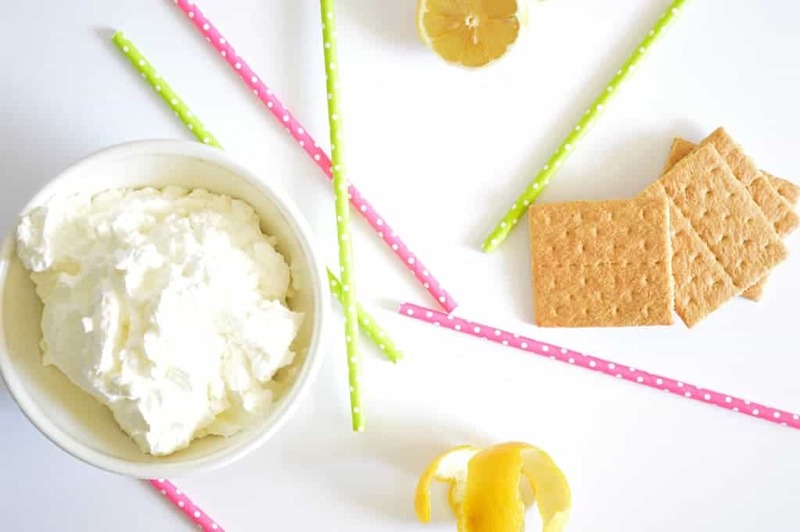 You are going to love how simple this is to make and how refreshing the citrus flavor is! This is the perfect treat to enjoy on a hot summer day! 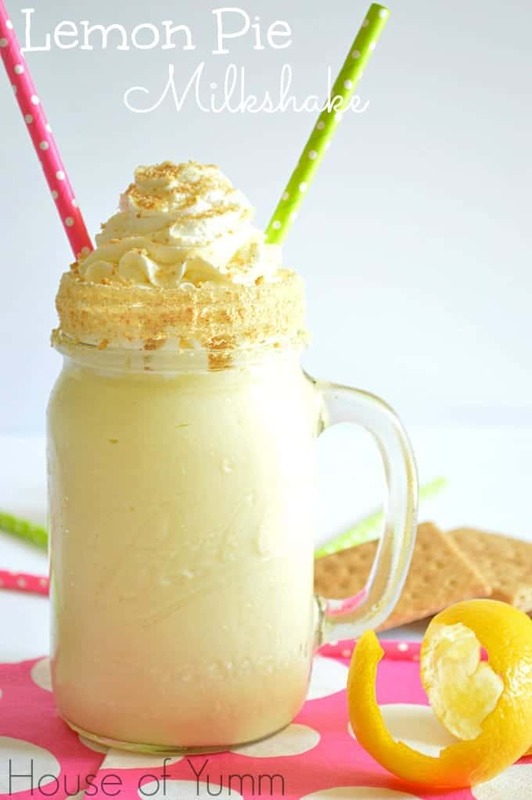 Enjoy the tart citrus taste of lemon pie in this milkshake version! Use Karo syrup, or I used Agave syrup, to coat the rim of your glass and dip into crushed up graham crackers. Place the glass into the freezer to set. Add the scoops of ice cream and the milk into food processor (affiliate link) or blender. Process/Blend until fully combined. Add milk or ice cream to desired consistency. Add the lemon pie filling, process/blend until fully combined. Remove glass from freezer and pour in milkshake. This is brilliant! 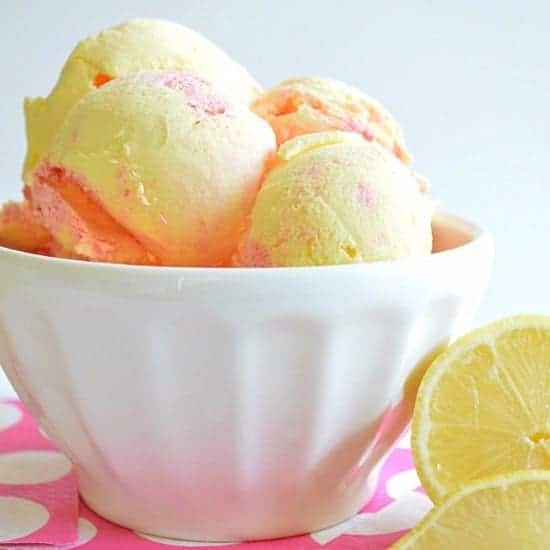 I love lemon and with ice cream, it has to be the best ever! Thank you so much Mallory! Lemon with anything is good isn’t it?! I have a thing for Sonic, too, shhh, don’t tell! With this so easy and fast to whip up, no one will have to know my soon to be obsession with these. Uh-mazing, Serene! Just amazing, this sounds perfect for summer! Thanks Mary Frances! Glad to know I’m not the only one with a thing for Sonic. They’re all over the place here! They didn’t really have them in CA. This sounds perfect for summer! 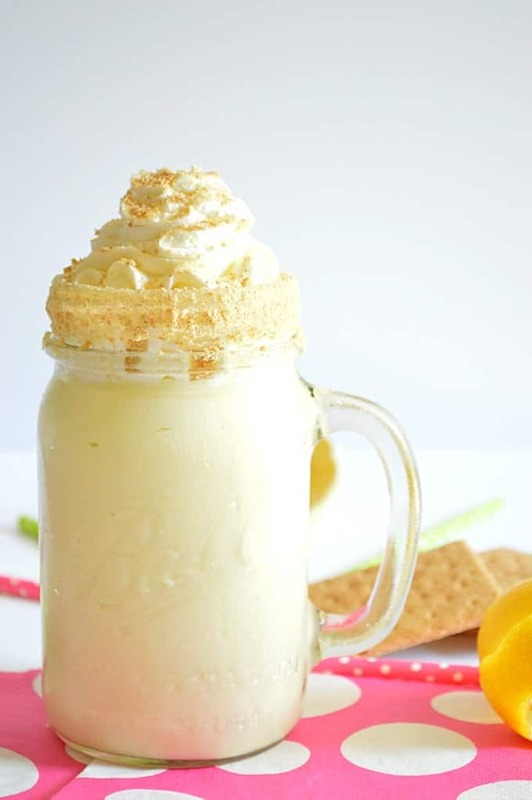 we’ve added pumpkin pie to a milk shake before….can’t wait to try lemon pie! Thank you so much! 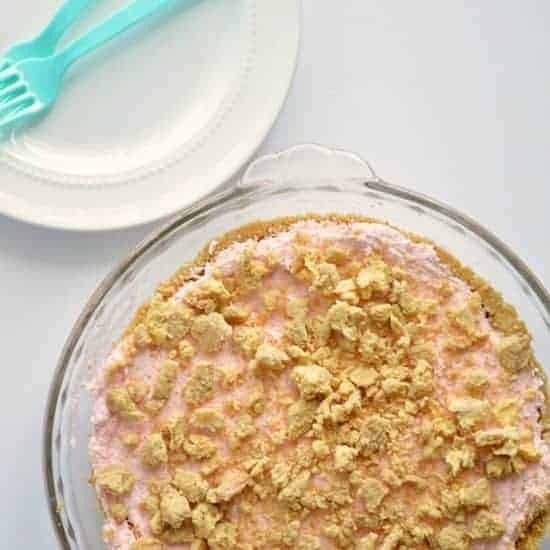 Pie and milkshakes make a perfect combo in any flavor I’m sure! Oh my goodness. This looks amazing! Wish I’d seen this first to put in my milkshake roundup. Aww. Thanks so much Robin! Great round up too! 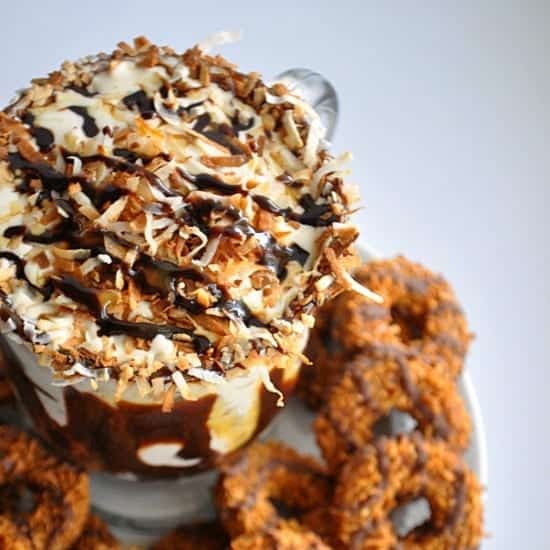 Serene, I love pie shakes in any flavor but this one sounds unbelievably good! I love how easily it comes together too–think I could get away with calling this a smoothie and drinking it for breakfast? Thank you so much Amy. And I’m definitely all for calling it a smoothie. That means that it’s healthy right?? 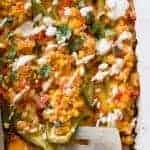 What a brilliant idea, LOVE the flavors and can’t believe how easy this is to make!! I too love staring at all those wonderful milkshake combos at Sonic., but the Lemon-Berry slush is my favorite. This milkshake looks so good! So yummy! This is a great unique flavor in a milkshake. I love how you had never had one out, so this was going to be delicious anyway! There is nothing like time when the baby is asleep to get creative, and if it is yummy, well, it is all that much better! 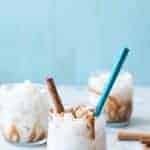 This Lemon Pie milkshake makes me so wish I did not have a lactose digesting problem – it looks so decadent and I bet it’s better than Sonic’s!! Fun idea!! The lemon berry cream slush is my favorite at Sonic! 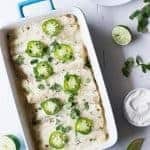 This looked so delicious and so perfect for a summer day, I decided to share it at CelebrateandDecorate.com. 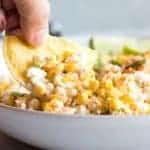 I didn’t share the recipe, but directed readers over here. I hope that was okay! I hope it sends some new folks your way to discover all of your wonderful creations. Thank you so much Chloe!! And thanks for sharing it! That was so sweet of you 🙂 Hope you had a great weekend! Found your blog from Celebrate and Decorate. 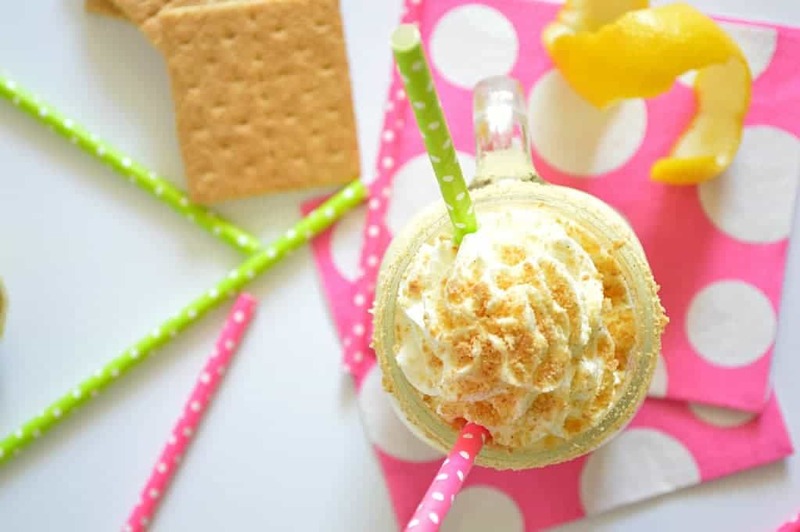 I am absolutely going to try the lemon pie milkshake!! Yum. I think my family will just love it. I’m a new follower! this looks seriously too delicious.. i could definitely use one of these lemon milkshakes right now. yum! Thanks so much Thalia! It’s such a fun milkshake flavor. I hope you try it!